If I were to tell you about the tale of international intrigue and scams of epic proportions – into the hundreds of thousands of dollars that I personally know about – your head would be spinning. Mine is. This week I was fortunate to NOT get caught into such a scam, but I was on the phone with the scammer himself all the way from Thailand, where he says he retired at the ripe old age of 28 after selling software he created for a multi-million dollar “8-figure” sum. The reality is he’s been defrauding people for years and had to move to Thailand likely to evade the law and certainly to escape his true identity; I met his alter ego /pseudonym / alias this week. How I came to be on the phone with this scammer, who thought he might actually have an opportunity to rip me off by talking me into giving him $6,000 was through a trusted colleague who himself was scammed by the same guy, along with many other smart, upstanding business people. What the scammer didn’t know is he never had a chance with me and my money. Here’s why. One look using a free tool we all have access to – Google – and I knew that scammer dude ain’t no sheep. His alias didn’t exist anywhere in the world or online until June of this year. Suddenly as of June 2013 he had a bunch of social media accounts – none with even ONE photo of him (and really that’s just lazy scamming because anyone could grab a stock photo dude and pretend it’s them); every web page site and press release said the same exact 2 paragraphs. And there was nothing online about him that he did not write or put out himself. This particular scammer was trying to use me as an entry into scamming other speakers around the world. I wasn’t about to let THAT happen. However, he had fooled other speakers and professionals I know personally. Smart people. People who want to trust others. People who are successful because of the relationships they’ve built and the action they’ve taken. People you would never imagine falling for such a scam. But when you’re the mark of a con man, you almost never see it coming until it’s too late. When someone wants to make any kind of “deal” with you beyond a “normal” fee for goods or services be on guard from the start. Caveat emptor, my friend. Ask questions. Lots of questions. Any business person not willing to answer your questions about how they work, their background and experience, isn’t worth working with anyway, and is a warning sign that you could be dealing with a scammer. Ask for references and then CONTACT the references.Usually a quick email is all you need or outreach on social media with a simple message. Learn how to search and what to look for online. Don’t assume testimonials on a website are real or from real people. If someone is claiming an international presence and references a specific country, go to Google and first search “Google Australia” then when you get to that country-specific Google search site, search for the person’s name. 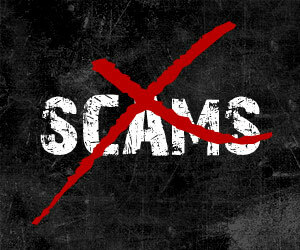 Type in the person’s name and the word “scam” or “rip off” and see what comes up. Get a contract. Even though most scammers will write in loopholes, you can start to protect yourself if you decide to go forward and the person ends up being a con artist. And finally trust your gut. If any part of you feels like something isn’t quite right, then don’t do it. Sure you could be passing on something that might have been amazing, but it’s much more likely you’ll save yourself the headaches and heartaches of a really bad decision to work with a really bad person.